What Business Plan is Right for You? Every Business Has A Plan. What Is Yours? Not every business is created equal. Some companies start out small and grow into something bigger. There are other companies who become part of a franchise. It depends on the company and what they want to achieve. You might be trying to figure that out. Why not look over the following plans and decide which one you want to be. 1) A startup company is one that is just beginning. They discuss what the company is and what products it provides. They draw up plans to execute those goals. They go over spreadsheets and cash flow worksheets. A startup company is in the infancy stage but can grow into something larger. 2) An internal business is something that targets a select group of people from within. Everything from the demographic to the market size is focused on an internal equation. 3) A strategic business plan goes over the company’s goals, objectives, and mission statements in detail. They take the existing company and create more depth. 4) An operations business plan is designed specifically for those who handle operating the company. 5) A feasibility business plan is something that answers the underlying questions. They answer everything from who can buy and sell it to the ability to make a profit. 6) A growth business plan tackles how far a company can grow and is able to grow. How Can A Pennsylvania Business Attorney Help? A PA business attorney can help you go over the documents. They can help you to understand what kind of long-term prospects your company has versus what your desires are. A Philadelphia PA business planning attorney can provide legal objective to ensure your company stays on track, no matter how large or small you are. What Qualification Should I Look For In A PA Business Attorney? They need a bachelors degree and master degree in law or business law. They need to pass the bar exam. They also need to be registered with the PA bar licensing system. You need someone who is experienced enough to help you with your business design and plan. Are you in the market to start your own company, or to help out an existing one? 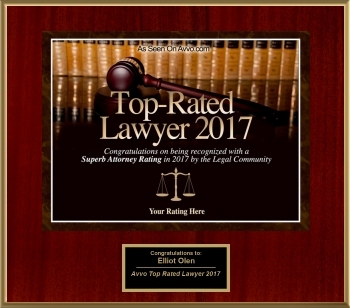 Please contact the Olen Law Offices today. An experienced PA business attorney can assist you with anything you need.